I have had these knee pads for over a year now and they are life savers. I used these in a Lion Claws event where there was a ton of broken glass and I was constantly kneeling and I never had any problems with them. The do exactly what I expected them to do and more. They are probably my best purchase for the price and their uses. They cover more area than I thought they would and they are very comfortable, even with prolonged use. 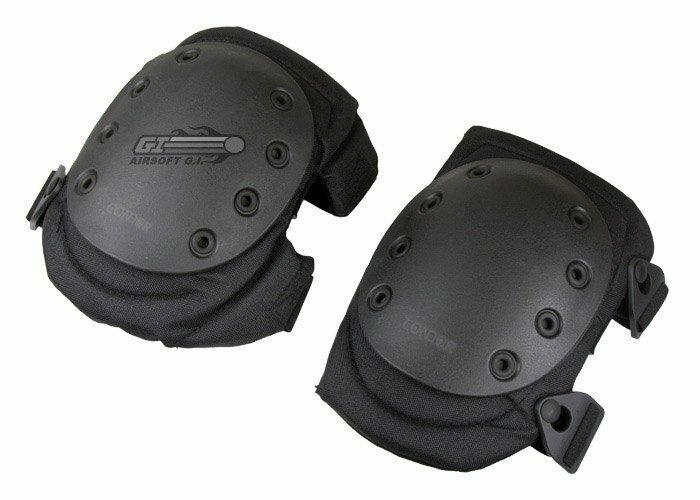 I have also used these knee pads outside of airsoft and they work wonders there too. Overall these are well worth buying. They have saved my knees multiple times and are still in great condition! used thus far: (all things kneeling) work (involves cleaning, laying, moving in small places sometimes); practice. It is important to read descriptions and get opinions, these are perfect example. I received mine in wonderful speed, even on the cheapest freight charge. Consider the distribution center location compared to your location, however, and consider (even ask) for how these are packaged. I got mine rather warm to touch. Not an issue, but they were wrapped around each other, which could be. I have tightened both as much as possible, but one is still looser than the other. For now it is not a huge issue, but since i have slender legs (for the area these are worn) I may have to worry about the knee pads in the future. This brings up a consideration I think most do not consider when making a purchase. How much are you willing to tinker with the item over time to keep it "like new." The item being "one size fits all" adds some difficulty for me in wearing them. I had to constantly adjust position and the straps, but its all about finding what is right for you, and for me (due to my built) its more difficult. I note this as a con below, but it is a case by case factor. Meaning it may hassle some but not others. Another notice is the back portion (in which the padding are) is loose and open. It is not a problem when wearing, or at least not for now. For me I see this as a benefit. I have come across knee pads that are sown together and if they are damaged (for what ever reason) you have to buy new. With these, it seems that if my padding is damaged, I can simply replace it or add my own. The above requires patience and know-how, so again - its about how much you are willing to tinker for upkeep. A "bolt" used for attaching straps to is closer to the rubber cap than others. this has made it a little more time consuming when putting the knee pad on, but it does not get in the way so much as to keep me from wearing the knee pad. personally, I like it as its a little imperfection part that gives it personality. I've used these and enjoyed them greatly. the caps are really flexible. I had to get use to wearing them and still do a little, but that will just take time. The non-slip caps helped me stay put on slippery floors. So if you want to slide on your knees, these are probably not right for you. I don't do a whole lot of sliding anyhow, so I'm happy. be realistic, even with padding, know where you are placing your knees and how. I got the pads to put over my 5.11 pants, I had a problem with them sliding down when I would run but i fixed the issue by attaching the straps diagonally instead of horizontal.